ASHEVILLE, NC--(Marketwire - Feb 20, 2013) - Dr. Mark Kleive, a practitioner of dentistry in Asheville, seeks to educate patients and prospective patients on Temporomandibular Joint Disorder (TMD). Many patients suffering from the condition are aware of their symptoms, though unaware of the cause. Dr. Kleive, who diagnoses TMD on a weekly basis at his Black Mountain practice, says that most TMD patients originally come into the office with complaints of physical discomfort and have no idea why they are experiencing pain. The process for TMD treatment begins with a thorough exam as patients seek dental care for unexplained pain. Dr. Kleive starts with a pre-clinical interview in order to discover what brings the patients into the office in the first place. However, not all patients who have significant dental issues will experience discomfort. These types of dental problems, unnoticed and unidentifiable by the patient, are why Dr. Kleive performs an oral exam on every patient after each pre-clinical interview. He uses the oral exam as a screening process to uncover indications of unforeseen problems -- such as TMD -- so that if the exam reveals any warning signs, a more thorough exam can be conducted. Dr. Kleive says once a patient is diagnosed with TMD, there are several treatment methods available. The first is self-care. Dr. Kleive provides patients with guidance on how factors such as diet can contribute to TMD pain, and suggests measures such as minimizing the intake of hard foods. A second option is an orthotic for the mouth in the form of a bite splint. Restorative procedures for the teeth are a third option for patients who suffer from severe TMD. Dr. Kleive may refer some patients to an orthodontist to reposition the teeth when absolutely necessary; however, the treatment depends on the diagnosis and the varying states of the condition. The Asheville dentist believes his role is to discover what patients want and to help them achieve their goals. He notes that TMD causes patients headaches and limits the range of motion of the jaw. However, he also stresses that TMD not only affects the mouth, but the whole body. Treating TMD can not only relieve headaches and restore jaw motion, but also ease discomfort in the neck and the body's overall posture. For patients wondering if TMD treatments are covered by insurance, Dr. Kleive recommends patients check with their individual insurance carrier. He does say that if a patient has insurance, most TMD benefits are processed through medical insurance rather than dental insurance. If a patient has medical insurance without dental insurance, Dr. Kleive suggests patients still contact their provider, as oftentimes coverage for TMD treatments does not require a separate dental care plan. 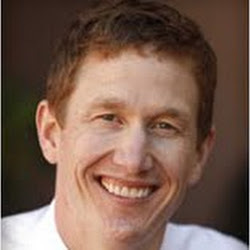 Dr. Mark Kleive is a graduate of the University of Minnesota School of Dentistry. He is also a visiting faculty member at the Pankey Institute, the premier facility for post-graduate dental education. Each member of Dr. Kleive's team has extensive training and experience in cosmetic dentistry. In addition to TMD treatment and routine check-ups, Dr. Kleive also provides his patients with cosmetic procedures such as teeth whitening and porcelain veneers.